Gangtok: NH10 is the main road into Sikkim, running along the emerald-green waters of the Teesta as it winds through the town of Melli on the state’s border with West Bengal. Pockmarked with potholes that are a jarring reminder of West Bengal’s poor economic health, the highway becomes strangely smoother soon after passing a giant billboard of a beaming Pawan Kumar Chamling—the country’s longest-serving chief minister who is seeking a record sixth term in office—urging Sikkim’s 4, 23,325 voters to choose “experience over disruption”. It’s all Sikkim—and Chamling—from this point. Chamling is 68 and has been the uncrowned king of this erstwhile Himalayan kingdom since 1994. For perspective, that’s the year Jeff Bezos founded Amazon, Schindler’s List swept the Oscars, and our very own Sushmita Sen became Miss Universe. 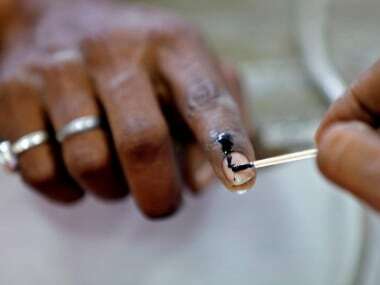 Sikkim votes on April 11 to elect its 32-member Assembly and send a lone representative to the Lok Sabha. It may well be the end of Chamling’s 25-year run. Enter Prem Singh Tamang, better known as PS Golay, all of 51, Chamling’s trusted lieutenant-turned-arch rival and founder of the Sikkim Krantikari Morcha (SKM), which mounted a serious challenge in the 2014 elections. Golay is leading the cry for change powered by the state’s young voters, more than half of whom are in the 18-45 age group. Does Sikkim need change, even if it just be for the sake of change? 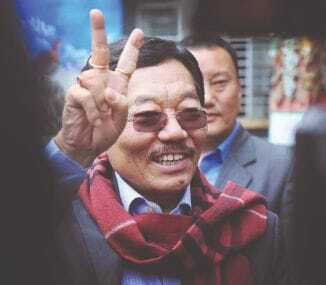 Or has anti-incumbency finally caught up with Chamling? SKM social media cell and publicity wing head Manoj Pradhan says, “Who doesn’t need change? That’s the only thing that’s constant in life. It’s time for Chamling to make way for a changemaker like Golay.” Pradhan accuses Chamling’s Sikkim Democratic Front (SDF) of exploiting tribal and caste faultlines and indulging in appeasement politics to stay in power. For the uninitiated, the indigenous Lepchas— now called the vanishing tribe because of their dwindling population—and Bhutias make up only a fifth of Sikkim’s population. The Bhutias are a privileged and powerful community of Tibetan descent because of their shared cultural moorings with the Chogyal, or ‘the righteous ruler’, belonging to the now-abolished 333-year Namgyal rule. But it’s the Nepalis—over three-fourths of the population—who hold the keys to power. 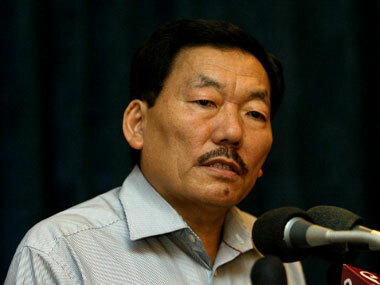 Sikkim has had only one non-Nepali chief minister, Kazi Lhendup Dorjee, since it joined the Indian union in 1975. Of the Nepali majority, the ethnic group of the Rais, to which Chamling belongs, are a dominant force as they make up 30 percent of Sikkimese society. It is these skewed population numbers and how they play out in a democratic polity that have turned the indigenous people of Sikkim into political non-entities even though 12 of the 32 Assembly seats are reserved for Bhutia and Lepcha communities, and two for Nepali Scheduled Castes and one for the Sangha constituency where about 3,500 monks from over 100 registered monasteries are the only eligible voters. Tseten Tashi-Bhutia, the convener of the Sikkim Bhutia Lepcha Apex Committee (SIBLAC), is waging an uphill battle for the indigenous people’s rights. “Any dilution in the provisions of Article 371F may create a national security threat in a border state like Sikkim, if not properly monitored by the Central government. Besides, we’ve been deprived of our constitutional rights and basis of survival in our own homeland,” he says. 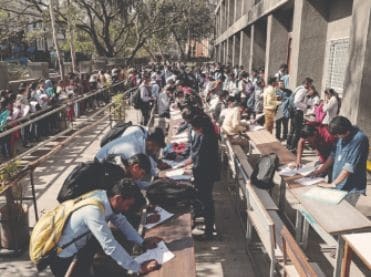 Prem Das Rai, 65, a two-time Lok Sabha MP from the ruling Sikkim Democratic Front and among the most educated in the outgoing 16th Lok Sabha – he is an alumnus of IIT-Kanpur and IIM-Ahmedabad – debunks the SKM wave and the SIBLAC’s growing apprehensions of being “marginalised in their own homeland”. Rai has made way for a young lawyer-turned-SDF nominee for the lone Lok Sabha seat, DB Katwal, in Chamling’s deference to youth power: the chief minister has given Assembly poll tickets to 17 new faces to blunt Golay’s outreach. Rai trots out Brand Chamling’s impressive record card over the past 25 years: an organic push way back in 2000 to the one family-one job scheme (every Sikkimese household has been assured of a government job), a cleanliness drive much before Swachh Bharat Abhiyan became synonymous with Prime Minister Narendra Modi, a ban on honking and smoking in public places in urban centres like Gangtok, Sikkim topping the list as the most prosperous state on the back of the highest per capita income —Rs 2,33,954 against the national average of Rs 94,731 as of April, 2018—improved healthcare, life expectancy and a sustained push for higher education. “New Delhi can take a leaf out of Sikkim’s book as Chamling has set the template for other states to emulate,” says a serving state government bureaucrat on condition of anonymity. He does hasten to say, however, that the Chamling administration is creating a bulging and unproductive workforce of about 1 lakh government employees, whose upkeep and retirement benefits may hurt successive governments in years to come. Golay, who fashions himself as the Imran Khan of Sikkim politics, is confident of a silent groundswell of support amid growing allegations of corruption in high places such as the multi-crore hydro-power and pharmaceutical scams and the near-halt in progress of the showpiece Pakyong airport over land acquisition protests and safety concerns despite a hurried inauguration by Prime Minister Modi in last October. “In 2014, we hurt the SDF by wresting 10 seats, mostly in urban areas of East Sikkim. This time around, we’ve made inroads into rural areas, which will determine the outcome,” says Golay. Amid the redrawing of battlelines between the ruling SDF and challenger SKM, ace footballer and local hero Bhaichung Bhutia has jumped in the fray, a wildcard entry in a keenly contested electoral battle. Bhutia, who unsuccessfully contested on a Trinamool Congress ticket from neighbouring Darjeeling constituency in 2014, made a first foray into his home state’s politics eight months ago with the launch of the Hamro Sikkim Party. Bhutia, too, has made the dilution of the Article 371F a key electoral issue “along with breaking the 25-year-old Chamling jinx and fighting for the rights of the indigenous people”. 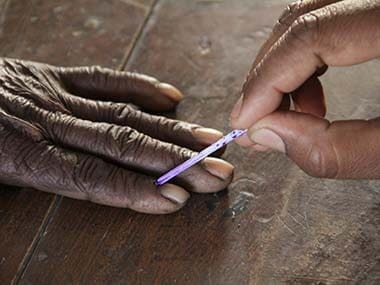 Sikkim is, perhaps, the only state in India where national parties don’t count at all. The Congress has no presence in the border state, and the BJP’s bid to cash in on the Doklam standoff overhang has come a cropper, despite several attempts for a saffron push by Union minister Kiren Rijiju and the party’s North-East pointperson Ram Madhav. As the undercurrents of sub-regionalism – many Sikkimese still nurse the wound of the 1975 “stage-managed referendum” that merged them with the Indian union — play out in an ethnically diverse society amid growing social ills such as the country’s highest suicide rate, alcoholism and drug addiction, the social media are abuzz with winds of change blowing in the eastern Himalayas. The chatter on the streets of Gangtok and picture-perfect M G Marg, dotted with branded stores and fine-dining restaurants and pubs, is rife with half-truths, lies and innuendos that takes a life of its own on social media. In the absence of colourful posters and banners save the odd billboard, social media are shaping voter choice. Five days before Sikkim goes to polls in the first phase of the parliamentary elections, the SDF and SKM appear to be locked in a dead heat. The question everyone asks is: Can David slay Goliath in this Himalayan battleground? The only correct answer can be: Wait till May 23.